The popular personal safety brand will be showcasing advances in the self-defense market. "Our brand focus is always on creating stronger, more reliable safety solutions for at home and on-the-go," said SABRE CEO David Nance. "With our new products, we really wanted to put greater functionality into the hands of our customers." SABRE, the leading brand of self-defense products trusted by police and consumers worldwide, will be debuting two new multitasking products at the 2018 Consumer Technology Association’s CES event from January 9-12. CES has been a global stage for emerging consumer and business technologies for 50 years. Their focus is on highlighting next-generation innovations in industries ranging from startups to robotics. “Our brand focus is always on creating stronger, more reliable safety solutions for at home and on-the-go," said Nance. "With our new products, we really wanted to put greater functionality into the hands of our customers." 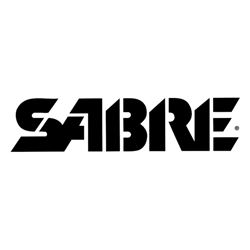 In addition to their new products, SABRE will also be available to discuss their cutting-edge stun guns, pepper gel, pepper sprays, and personal alarms. To learn more about SABRE and their contributions to the safety industry, stop by Tech East, BOOTH: LVCC, South Hall 1 - 21351 at the CES Expo in Las Vegas, Nevada, January 9-12. SABRE, the no. 1 pepper spray trusted by police and consumers worldwide, is family owned and operated with four decades of experience and is the leading brand in personal safety. The company’s law enforcement grade pepper sprays provide consumers with the same superior quality chosen exclusively by the New York Police Department, Los Angeles County Sheriff’s Department, and law enforcement agencies worldwide. SABRE has trained 3,500 officers around the globe on the use of force and how to use pepper spray. SABRE also has a line of consumer personal alarms and home security systems, and is dedicated to educating its customers. SABRE’s Personal Safety Academy is available through certified instructors around the world to help teach personal safety skills to SABRE users. Learn more at http://www.SABREred.com, on Facebook at ‘SABRE-Security Equipment Corporation’, on Twitter @SABRERed or on Instagram @SABRESafety.